Peter Larkins is quick to tell you the transition from military life to the business world is not always easy. A former Marine officer, Larkins has been with Duke Energy for seven years and considers it a great place to work. Now, he’s on a new mission: helping other former military personnel find employment at Duke Energy. Larkins is the chair of “Together We Stand for Our Veterans” – a new Employee Resource Group (ERG) at Duke Energy. “Together We Stand” provides support and networking opportunities for servicemen and servicewomen, as well as relatives of those who serve. In addition, the group assists Human Resources with their military recruitment efforts. During 2014, around 10 percent of the company’s new hires self-identified as veterans. 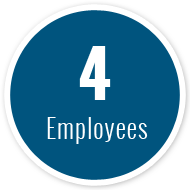 Larkins recognizes the importance of retaining quality employees. Overall, Duke Energy has seven ERGs, celebrating the differences among employees from all backgrounds as it seeks to foster an inclusive work environment.